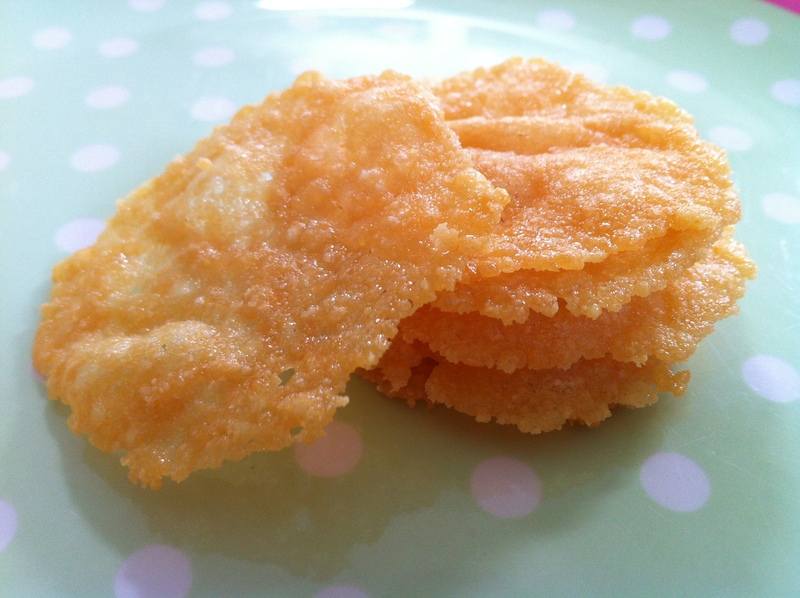 parmesan crisps | what is clara eating today? you can add some herbs too! 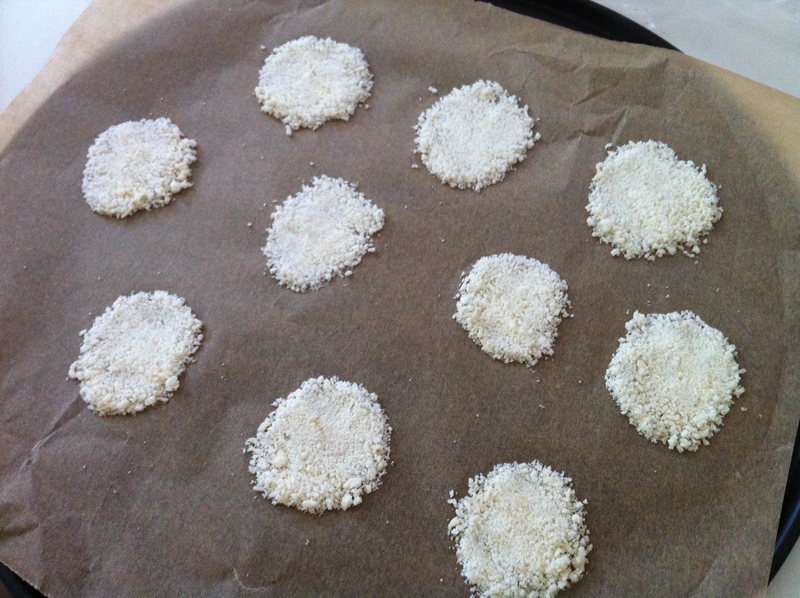 On a parchment paper lined cookie sheet, pour 1t of parmesan cheese about 2 inches apart. pat it down to flat disks.